The second session of the 13th National people's Congress will be held in Beijing tomorrow (March 5). 2019 National "two sessions", CPPCC National Committee member, Baidu Chairman Li Yanhong submitted three proposals, all related to artificial intelligence. He suggested strengthening the research of artificial intelligence ethics and building the foundation stone of the development of intelligent society. Artificial intelligence is still in its infancy, he said, but in some areas it has approached or even surpassed human capacity, showing a huge force of change. The machine of the future is no longer a mere tool, but a possibility to help or even partially substitute for human decision-making. Ma Huateng, deputy to the National people's Congress and chairman and chief executive of Tencent's board of directors, submitted seven written proposals to the two sessions this year, covering industrial Internet, basic scientific research, scientific and technological ethics, Guangdong-Hong Kong-Macau Greater Bay Area, Internet protection for minors, and employment. Ecological environmental protection and other hot issues. In the report on "suggestions on comprehensively exerting Regional Core advantages to accelerate the Construction of Guangdong-Hong Kong-Macau Greater Bay Area in an all-round way", Ma Huateng suggested that Guangdong-Hong Kong-Macau Greater Bay Area's development should continue to be based on reality and highlight "market leading, digital support, and international vision." A new feature of "pluralistic coexistence". Deputy to the National people's Congress, founder, chairman and CEO Lei Jun of Xiaomi Group, he submitted three proposals to the National people's Congress this year, namely, "suggestions on the Application of layout 5G and Innovation and Development of pushing Animal networking" on improving Innovation ability. Suggestions on developing Commercial Aerospace Industry and further deepening Information Barrier-free Construction. Focus on commercial aerospace legislation, AIoT and information accessibility. CPPCC National Committee member, Sogou company CEO Wang Xiaochuan brought a number of proposals, covering artificial intelligence, digital family doctors and other aspects. The proposal mainly includes three points: first, the application of science and technology project review lack of results to transform tax requirements. The second is the lack of tax incentives to guide enterprises to participate in the transformation of scientific and technological projects. Third, private enterprises of science and technology personnel do not enjoy the results of a tax concession. In a statement issued this morning (March 4), Meng Evening Zhou's lawyer, on behalf of Ms. Meng Evenzhou, filed a complaint against the Canadian Border Service with the Supreme Court of British Columbia, Canada. Notice of civil action by the Royal Canadian Mounted Police and the Government of Canada. Canadian government officials have repeatedly violated the rule of law, seeking damages for malfeasance and illegal imprisonment by public officials, according to the lawsuit. Previously, CCTV News reported that the lawyers of Ms. Meng Xizhou, the chief financial officer of Huawei, had filed a lawsuit against the Canadian government, the Canadian Border Services Agency and the Royal Mounted Police (the federal police), alleging that they had not informed her. Her arrest, search and interrogation all violated her constitutional rights. Starting today, you can go home on your own. March 4, Didi in express, enjoy the pilot "route selection" function, users can choose their own vehicle route in APP. When a passenger selects a route, the route information is automatically synchronized to the driver side of the navigation. If the passenger uses the "modify destination" function in the itinerary, the passenger can still choose the route independently after the destination has been successfully modified. Didi said the function is designed to better help passengers choose routes, facilitate rapid communication between passengers, and effectively avoid disputes over route selection. Enterprise check data show: on March 1, 2019, Didi set up a wholly-owned subsidiary Shanghai Didi Woya Technology Co., Ltd., 100% controlled by Beijing Xiaoku Technology Co., Ltd., with registered capital of 10 million yuan, Zheng Jianqiang as legal representative and executive director. Wu Rui, co-founder of Didi, served as supervisor. The company covers network technology, transportation equipment technology, intelligent driving vehicle technology, auto-driving vehicle technology, auto parts technology in the field of technology development and so on. 58 City reported in the 2018 financial report that the company signed a definitive agreement on February 28, 2019, to sell a certain proportion of its shares in the Cheda Group to third-party investors for a total price of $713.6 million. The completion of the transaction depends on certain closing conditions. After the transaction is over, 58 cities will continue to hold the number of shares in the car. Similarly, on February 28, many of the Group's group announced the completion of a new round of $1.5 billion, a soft-silver vision fund. Industry insiders speculate that the soft-silver vision fund or the "third-party investors" disclosed in the financial report for the 58-year-old city. Trembling and being punished for "seeing Wall Street"
"net-letter Shanghai" WeChat No.3/4. Recently, the Shanghai Network Information Office has decided to impose a fine on Shanghai Aoxen Information Technology Co., Ltd. on the basis of laws and regulations such as the Network Security Law> Internet Information Service Management Methods> Internet News Service Management Regulations and other laws and regulations. It has been found that the "On Wall Street" website and the APP operated by Shanghai Aoxen Information Technology Co., Ltd. will not publish the news information in violation of the information service qualification of the Internet, and there is a deviation in the content guide and disturb the information transmission order of the network. According to relevant laws and regulations, the Shanghai Municipal Network Information Office interviewed the person in charge of “Wall Street News” and ordered them to stop violations of laws and regulations and carry out comprehensive and in-depth rectification. At the same time, according to the results of the previous law enforcement investigation, the Shanghai Net Letter Office decided to impose a fine on Shanghai Aiu Information Technology Co., Ltd. according to law. March 4, as of March 1, the Securities Regulatory Commission announces a total of 280 companies, including 118 on the Shanghai Stock Exchange and 162 on the Shenzhen Stock Exchange (48 on the small and medium-sized board and 114 on the gem). As of March 1, among the companies that announced their initial public offerings and issued depositary vouchers on a weekly basis, in 2019, the Securities and Futures Commission (SFC) announced the termination of censorship of 7 enterprises, of which 4 were on the Shanghai Stock Exchange and 3 on the Shenzhen Stock Exchange (2 on the small and medium-sized board and 1 on the gem). Wahaha, howling is "no special meaning"? Today (March 4), Wahaha AD calcium milk bottle body printed with "Drinking AD calcium milk from A to D" slogan caused concern. Some netizens think that this slogan has the suspicion of promoting breast enhancement. Photographs posted by netizens show that two girls wearing red-necked scarves are playing the "floating rope" game on the AD calcium milk bottle. In addition, the bottle is also printed "When high school, the class did not know who said that drinking AD calcium milk can change from A to D, and then set off a gust of wind, the girls in the class began to drink AD calcium milk." In the afternoon, Wa said, the slogan belongs to the network language, no special meaning. Hangzhou City Market Regulatory Administration staff said the matter will be involved in the investigation. Li Chen and Pan Yibai were "indifferent"
On March 4, 2019, Beijing Youth Daily reported that the "MLGB" trademark applied by Shanghai Junke Company, a partner of the star Li Chen and Pan Yibo, was invalidated by the Trademark Review and Adjudication Board of the State Administration for Industry and Commerce, and the second trial rejected the appeal. Maintain the original judgment. Li Chen and Pan Weibo's four-letter name, MLGB, was ruled "negative in meaning and low in style" and was ruled null and void by the Beijing High people's Court. Shanghai Junke, the trademark owner, insists that MLGB is an acronym for "My Life's Getting Better," and that letter combinations such as BYD,SB,NMD,TNND, for example, have also been filed for trademark registration. In the second instance, the court specifically referred to Junke's application for the disputed trademark MLGB, as well as the application for caonima and other trademarks, which catered to the bad cultural intent in a vulgar manner. Forget it, the Forbidden City hotpot or something is gone. Today, the Palace Museum said that in view of the audience's reflection that the restaurant waits for a long time in the queue and the price is high, as the weather gets warmer, the Gongjiaolou restaurant will adjust the content in the near future, increase the types of drinks and fast food, shorten the waiting time of the audience, and provide cost performance. Higher dining adds more cultural connotations to the restaurant. Subsequently, the Forbidden City corner restaurant confirmed the news: "Today, I received a notice. Starting from today, the hot pot will be suspended in the evening, and the hot pot will no longer be served in the evening. The reservation may be cancelled." According to the daily economic news report, a document suspected to have flowed out of the customs shows that “the customs of the whole vehicle import port suspends the release of the imported Tesla Model 3 pure electric vehicle and issues the corresponding “in-vehicle inspection form”, before the issuance Where the relevant vehicles have been released, the Customs shall notify the importing enterprise not to sell or use, and recover the issued “In-vehicle Inspection Form”. At the same time, the customs of the import port of each vehicle shall strengthen other imported models manufactured by Tesla. Inspection." A source confirmed the matter. However, Tianjin Customs said: "We have not received this notice yet." Tesla cut the price. What do you think of this? On 1 March, Tesla China announced that there had been another significant reduction in the price of all-department models, and that the price reduction range of the Model 3 was 26000 yuan-44000 yuan, the, Model S reduction range was 11300 yuan-277500 yuan, The price reduction range of Model X is between 174500 yuan and 341100 yuan. Among them, the Model X P100D is the model whose price reduction is as high as 341100 yuan. Weibo @ niowei Giant son posted that the price reduction led to their own "actual loss of more than 200000". Bloggers posted purchase records and photos of some of the owners going to the store to protect their rights. The blogger said it pulled the model X on Feb. 25 and learned of an official cut of 174300 on March 1, a five-day drive. Tesla's first batch of offline stores "offline"
According to Electrek, Tesla began closing its first stores on March 3, and more stores will be closed in the coming weeks. According to people familiar with the matter, Tesla has informed employees in dozens of stores in California and told them that they need to call customers, reschedule test drive activities, and help customers make appointments at other stores because their own stores will be closed. 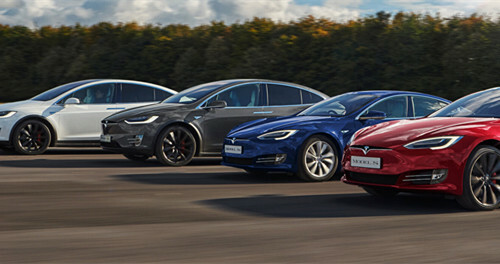 Earlier, Tesla announced that in the future, all cars will be gradually realized online sales. Market research company Counterpoint recently released a global mobile phone market summary report. The first part of the report is the global smartphone shipment market share for the fourth quarter of 2018. In the global smartphone market, Samsung's market share is 18%, Apple is 17%, Huawei is 15%, OPPO is 8%, Xiaomi and vivo are both 7%, Lenovo is 3%, and other brands are 25%. The report concluded that in the fourth quarter of 2018, global smartphone shipments fell by 7% annually to 394.5 million units. Despite the strong growth of emerging markets, it has not been able to compensate for the decline in shipments in developed markets. Under the general trend of global economic slowdown, shipments in all regions have declined. Positive growth has only been achieved in Central and Eastern Europe. Here comes the 5G, Apple. Are you ready? According to the Taiwan Media "Economic Daily", Apple is preparing for the launch of the Fifth Generation Mobile Newsletter (5G) iPhone, the first wave to finalize the most critical printed circuit board (PCB) and related materials orders, Taiwan Optoelectronics, Jinding-KY, Taixian and other three industries to join the list. Become the first batch of 5 G iPhone business opportunity parts factory. 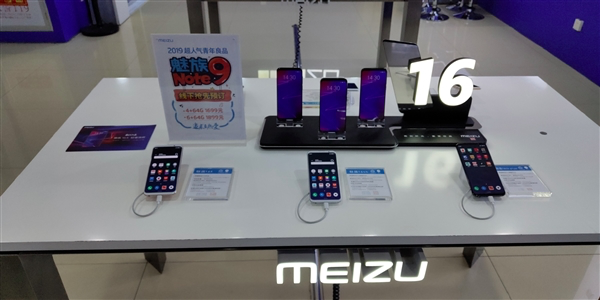 It is reported that Samsung, Huawei, OPO, Xiaomi and other non-Chinese companies have launched the 5G mobile phone in succession, and the company is concerned at the launch of the Apple 5G iPhone. The 5-year-old iPhone in the second half of this year, as Apple has picked up a 5-gigabyte of the iPhone's PCB vendor message, means that the 5G iPhone in the second half of the year. As the 5G is a brand-new specification, it is expected that a huge wave-changing tide will be raised, which will help drive the new wave of stock exchange. Apple pushed interest-free payments in installments to boost sales in China after cutting prices and replacing the old ones. On March 4, Apple's official flagship store, Tmall, went online to buy the iPhone in installments, with an account period of up to 24 months. Take the 64G iPhone XR as an example, paying in two years, only paying 270.79 yuan per month. However, this installment activity only lasts until March 25. In January 2019, Apple authorized dealers in China to lower the price of the iPhone, and in the Tmall official flagship store to send 500 yuan coupons for old-for-new users, while Apple's official website also disclosed the old-for-new plan, covering iPhone 6 to iPhone X products . For the first time since the first quarter of 2016, the number of software engineer jobs listed on Apple's recruitment page exceeded the number of hardware engineers, MacRumors reported, citing Thinknum, a data analysis website. Apple currently employs more "software and services" jobs than hardware engineers, Thinknum said. 24-hour business 7-11 will be abandoned by Japan? According to the Nikkei News Agency, Japan's largest chain convenience store 7-11 will try to revise the 24-hour business principle. Based on the data changes such as sales, revenue, and number of customers, we discussed whether to shorten the business hours for about 98% of all franchise stores in all 20,000 stores. In the context of a shortage of manpower, the trend of the Japanese catering and retail industry abandoning the 24-hour business has expanded. 7-11 will start in mid-March in order to shorten the business hours to 7:00 a.m. to 11:00 a.m. in the 10 straight-up stores in the northeast to Kyushu. The scheduled trial will last for at least a few months. Spring is coming, but layoffs are not over. Heineken USA, the world's second-largest beer maker, recently announced a 15 percent layoff as part of its restructuring of its sales structure, foreign media reported. A spokesman for the company, BjornTrowery, told the outside world that "the restructuring of sales staff will make the company more efficient." Notably, Heineken said in its annual report that the company could experience weak sales in 2019. And this layoff incident, also seems to confirm Heineken above-mentioned concern. Some analysts said the U.S. Heineken job cuts, mainly because of the decline in the beer market. While non-local sales of major retailers rose about 1.8 percent in 2018, domestic beer shipments fell about 2 percent, according to market research firm IRI. VOI Technology, Europe's largest electric scooter sharing company, said on Monday that since its inception seven months ago, the company has raised $30 million in a new round of financing for expansion and research investments in Europe to withstand increasingly fierce competition. Due to the large commuting population in Europe and the lower car ownership than the United States, the electric motorcycle sharing business will grow rapidly in Europe. After this round of financing, Voi currently has a total financing of 80 million US dollars. The company said in a statement that most of the Nordic cities (including Stockholm, Copenhagen and Gothenburg) that the company entered will be profitable early this year. The company also operates in other European cities such as Paris, Madrid and Lisbon. Today’s Evening News is the content, the new week begins, everyone should cheer for the next holiday! In front of the future, you I'm a child, and I'm not going to download the tiger's Sniff App. A brief history of Chinese cat slave cats, please stamp the 175~176 award-winning articles for details. My only connection with the middle class is probably cat raising. How to operate to catch the HPV vaccine car? Tesla has been informed that dozens of employees of offline stores have been informed that they have started to close offline stores.